Book Lovers Life: The Curse of the Boggin by D. J. MacHale Blog Tour and Giveaway! The Curse of the Boggin by D. J. MacHale Blog Tour and Giveaway! D.J. created and produced the Discovery Kids/NBC television series Flight 29 Down. He wrote every episode and directed several. 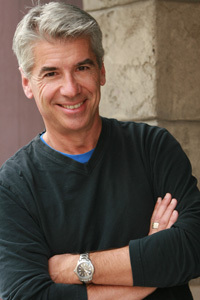 His work on Flight 29 Down earned him the Writers Guild of America award for Outstanding Children’s Script and a Directors Guild of America award nomination. - 10-15 Minutes Skype Session (personal or school class). Time for a much needed break! ECHO Campaign by Taylor Brooke Book Blitz! The Elf by Max Dune Review! Month9Books Turns 4 Birthday Bash and Giveaway! Big Shoes by Jack Getze Blog Tour and Giveaway! The Daemoniac by Kat Ross Blog Tour and Giveaway! Death at the Seaside by Frances Brody Blog Tour! The Glitch by Ramona Finn Book Blitz!